Last week I had one of my most memorable wildlife encounters since taking up residence here at the Nature Center. 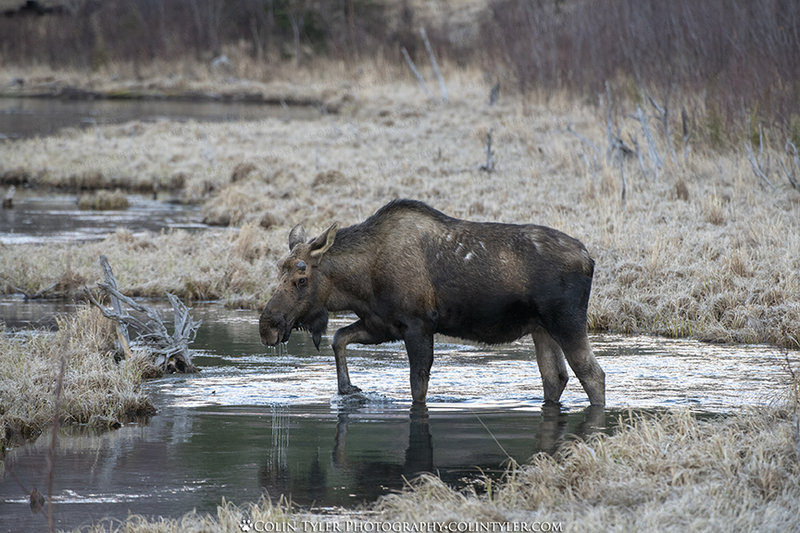 I watched a bull moose cross the creek between the viewing decks while a pair of trumpeter swans was upstream and moving toward the Salmon Viewing Deck, where I was standing. Just as the swans turned a corner and headed my way, I heard something behind me and looked back to see a lynx run across the entire length of the viewing deck and off into the woods past the moose! Unfortunately the lynx didn't present an opportunity for a photo but the memory of the event will always remain with me. All in all, it was a nice start to the day and a solid reminder of why I choose to live here!